Second post on this awesome Breville Fast-Slow Cooker. 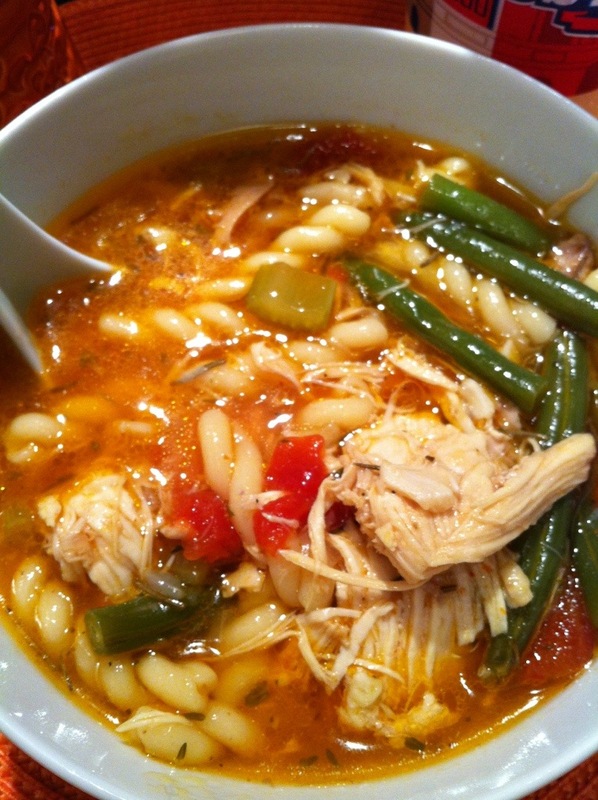 I shaved off more than an hour of cooking time for my chicken noodle soup recipe. This appliance is such a time-saver, especially on busy work nights when I can’t start prepping until 6 or 7pm. 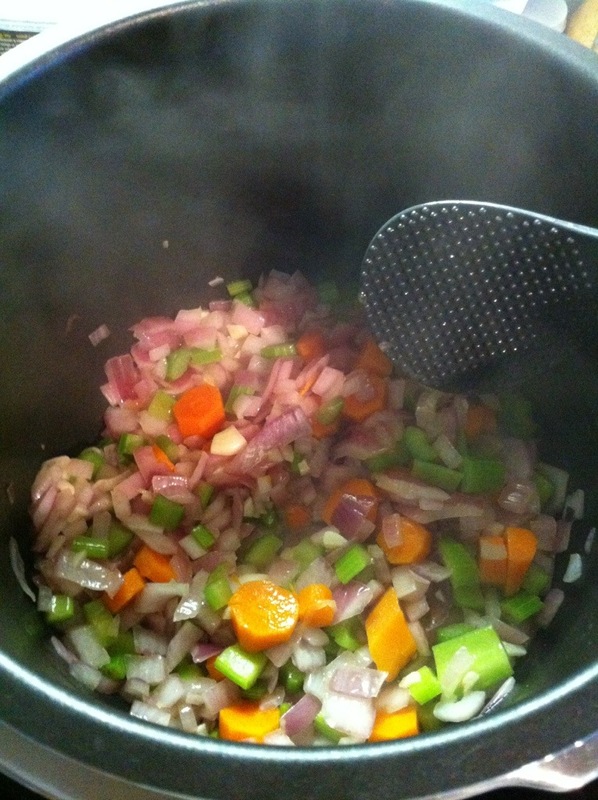 First I browned onions, garlic, celery, and carrots until they were soft using Breville’s saute/sear function. 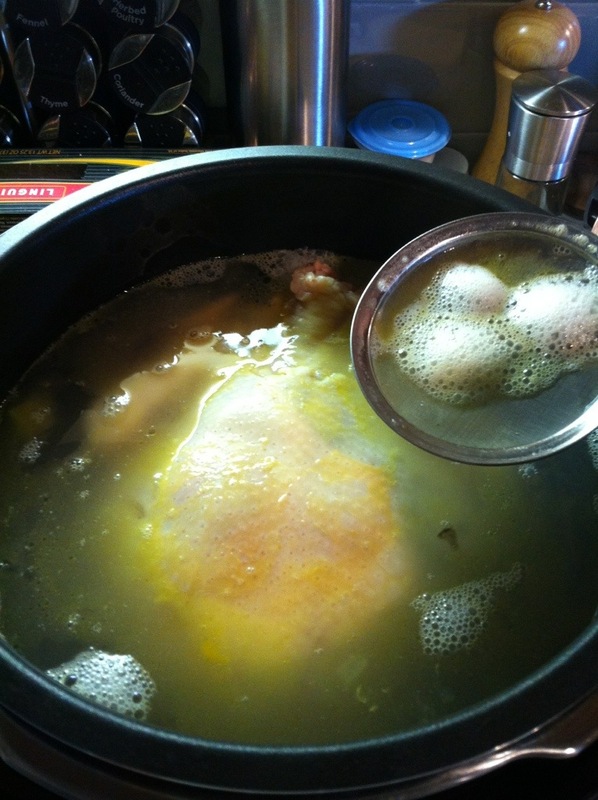 Then I placed a whole chicken in (giblets removed) and filled the pot up slightly lower than the max line with water. I let it come to boil again on the saute/sear function for about 6 minutes and skimmed off any scum from the surface. I dumped in the can of stewed tomatoes, my herbs, and a few dashes of Worcestershire sauce. Placed the lid on and pressure cooked chicken on medium for 25 minutes. After it was done, I removed the chicken and shredded the meat, discarding the skin and bones. 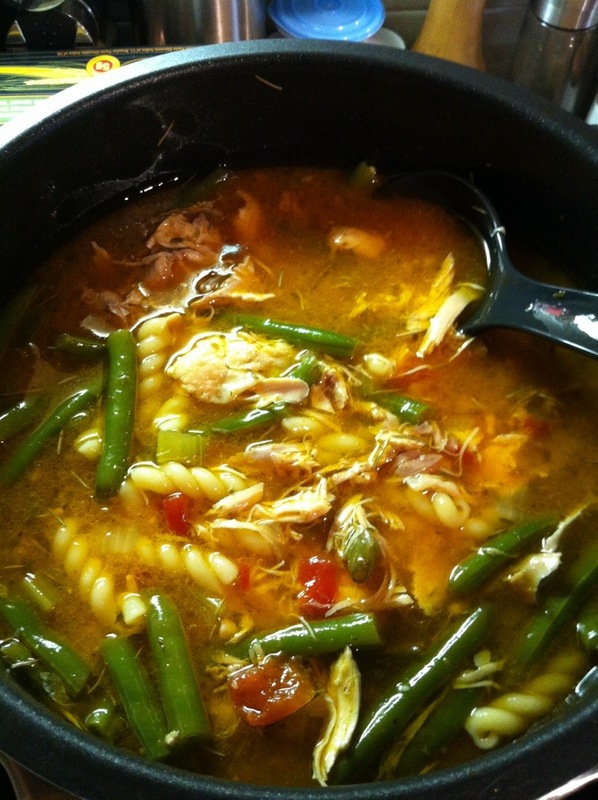 The meat was placed back in the pot and the uncooked pasta and green beans added in with salt and pepper. Another 6 minutes of pressure cooking on low and the hearty soup was done. This all took about an hour. Adjusted the seasonings for more salt, pepper, and dried red chili and we had ourselves another quick satisfying meal. Besides the saute/sear and pressure cooking (3 levels) functions, the Breville also has steaming and warming functions. 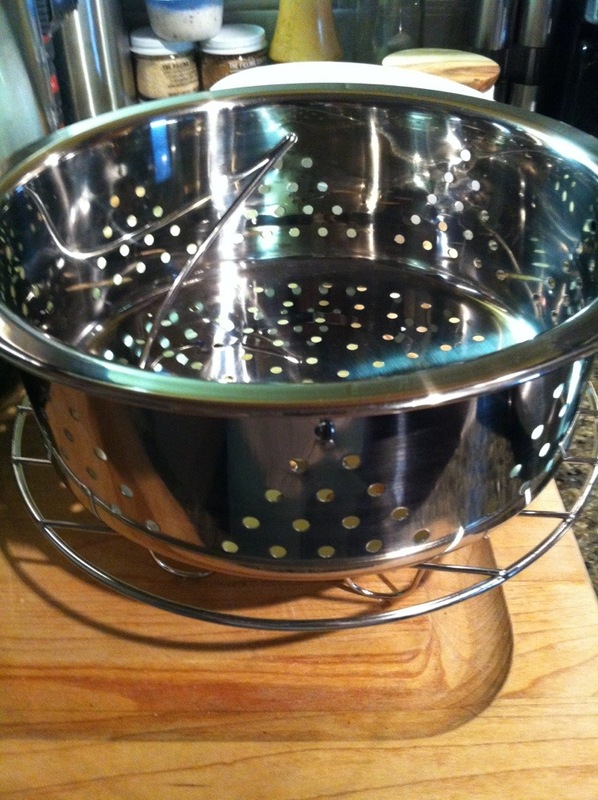 Steamer basket and trivet below. Saute carrots, celery, onions and garlic with a little oil on sauté/sear function until softened (about 3 min). Put chicken in the cooker, and pour in water until almost to the max line (leave some room for the tomatoes). Bring to boil using the sauté/sear function and carefully skim scum off the top with large spoon (I like to use a fine mesh sieve). Add tomatoes, Worcestershire sauce and herbs. Pressure cook on medium for 25 minutes. Remove chicken from cooker and remove all meat from the bones. Shred the meat with two forks. Add meat back in. Add in the uncooked pasta and green beans. Pressure cook for 6 min. on low. Adjust seasoning with more salt and pepper if needed. Add chili flakes and cilantro (optional).